Former Chairman of Peoples Democratic Party PDP in Warri North Local Government Area and contender for Warri North Constituency Seat in Delta State House of Assembly in the 2019 polls, Mr. John Okoroloko has listed revival of Koko Port and the completion of Koko Township Stadium as core projects he will work towards if given the mandate to represent North local government in the state legislature. The PDP Chieftain who gave the assurance Tuesday August 7 during a chat with Our Senior Correspondent in Warri, promised to embark on job creation, initiation of legislation that will ensure construction of quality health centres across Warri North and ensure even development of the area. 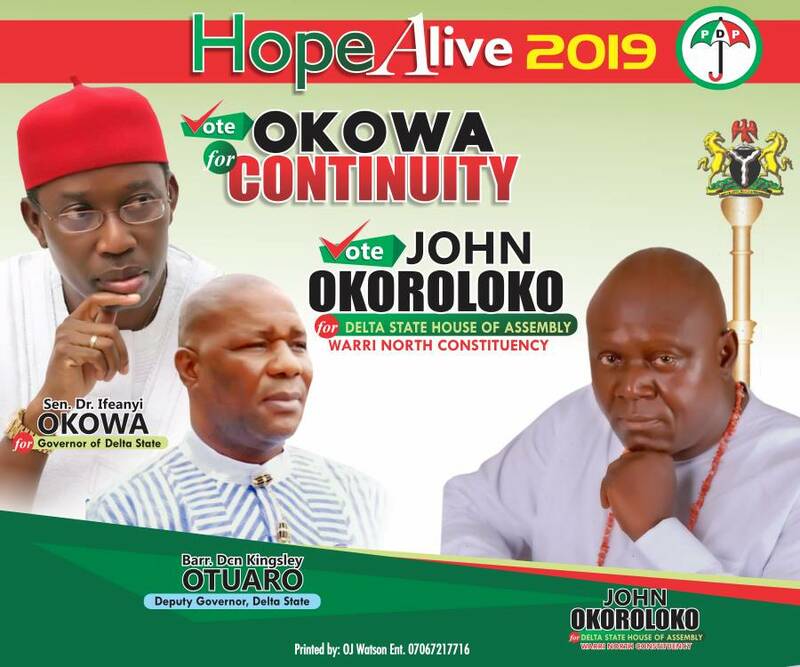 While assuring that he will attract more economic activities to Warri North with a view to populating the local government area, the House of Assembly hopeful enjoined PDP delegates to support his aspiration in the forthcoming party primary.